It’s a new trend that is unlikely to go away anytime soon (well, as long as people keep paying for it, I guess.) 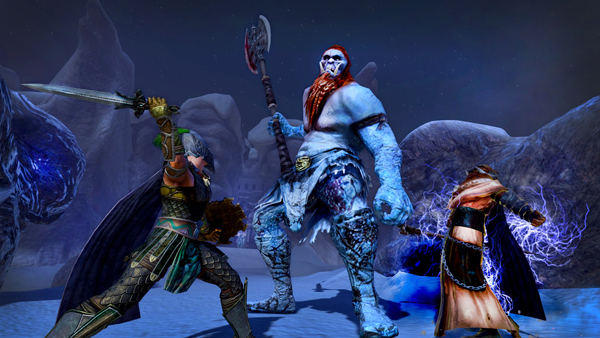 Funcom has announced that Age of Conan will be making some changes to their membership plan and will also be adding an item to their cash shop that allows players to jump directly to the current max level of 80. The “Level 80 Character Creation” option will boost you directly to max level and deck your new character out in rare equipment so you’re ready to start taking on the challenges of max level. It will set you back $40. However, and I kind of like this option, if you already have a level 80 character, boosting new characters will only cost $30 a pop. I like the added touch of a discount for people that have played the content and maybe just want an alt as well. Those of you that subscribe (Member Status) or have been thinking about subscribing should take a look at the current offers being added to the Member program. Starting today and running until January 2nd, Funcom is adding additional perks if you become a subscriber or add subscription time to your current subscription. Buy or extend your Membership by three months to get one extra month for free and ten Tokens of Gilding which can be used to get all new social items from the Gilding Vendor. Buy or extend your Membership by six months to get two extra months for free and twenty Tokens of Gilding which can be used to get all new social items from the Gilding Vendor. Buy or extend your Membership by twelve months to get four extra months for free, plus thirty Tokens of Gilding, which can be used to get all new social items from the Gilding Vendor, and your choice between either the Cache of Instant Bloodshed, which gives a full set of Epic Tier1 PvP armor, accessories and a weapon for your class or the Cache of the Raid Master, which gives a full set of Epic Tier1 PvE armor, accessories and a weapon for your class. Pretty sweet deal if you’re already spending money in Age of Conan or were planning to do so. What do you think?